EOP was proud to recognize its top five spring 2018 graduating seniors and is pleased to share their experiences at Buffalo State (download PDF). An undergraduate college admissions and support program, EOP helps students reach their full academic and personal potential through workshops, tutoring, academic advisement, and mentoring.  The Educational Opportunity Program (EOP) offers an alternative means of acceptance to Buffalo State for students who show ability and motivation in the face of economic and academic challenge.